Rainmaker is listed as “out of stock” on the site. Any date for when next batch will be available? I saw a bunch of Rainmaker PCBs arrive at the factory last week, so the next batch will probably be in production soon. Kamil, Along those lines, when do you think the next batch of Planar 2’s will go out? I think that batch of Rainmakers was probably a small one, but we have a big one coming in early January and should have Planars towards the end of January. We’ve arrived at mid-January…what’s the good word on Rainmakers? Any updates? I really want to get my hands on one of these. It looks like this latest batch is another small one unfortunately and it will be allocated straight to our dealers so it will not be available on the web store. 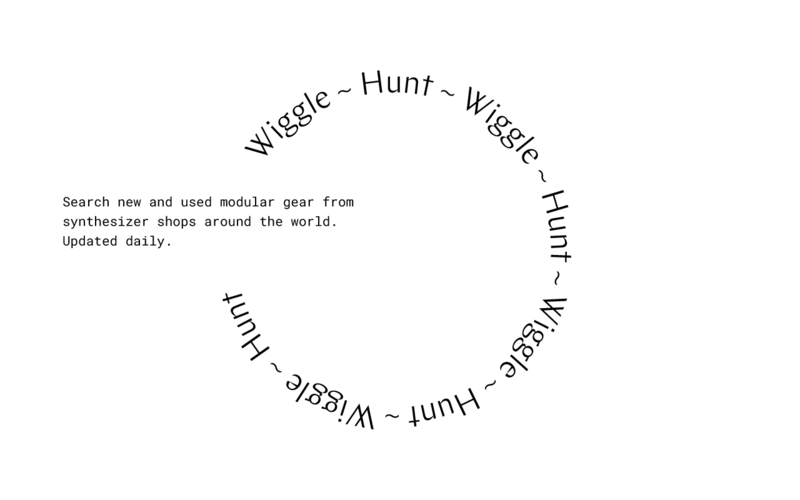 Meanwhile it’s worth checking Wigglehunt for availability. It looks like Moog Audio in Canada has stock right now, and Perfect Circuit and Schneidersladen are taking pre-orders. Cool! That’s good to know! I have a pre-order at a dealer, so that’s helpful to know. When do you think the batch is making its way to dealers? It’s hard to say as these will probably be sent as part of larger orders, but it should be in a few weeks. Then of course you will have shipping times, and whatever warehouse allocation/distribution times the dealer takes to process the order. That works! Thanks for the update, Scott! Mine’s on order at Perfect Circuit, I assume they’re one of the dealers you’re shipping to? Any news on the next Planar 2 batch? I’m on order at Perfect Circuit. Thx. Any date for next batch of Rainmakers? I’m seeing these (planar 2) roll through testing right now… so probably on the next order out to them.